I have always wondered which unnoticed phenomenon lies behind the perishability of our lifetime. As a young boy I used to think that all the time in the world was mine, many dreams and plans were my aim. 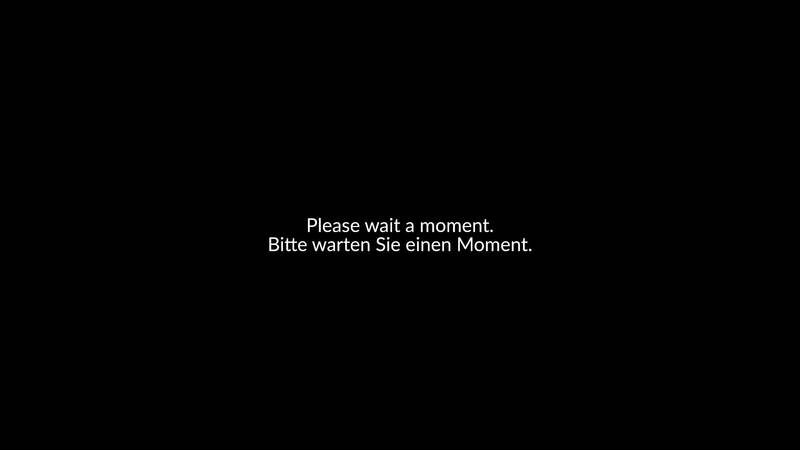 I have always been impatient. I was in a foot race with time, thinking I could catch up with time – until I found out that it was all just an illusion! The older I grew the faster I learnt how short life really is. Instinctively, everyone has always tried to organize the passage of time. Thousands of years before Christ people have already invented measuring instruments, sun-, sand- and water clocks. The history of water clocks especially has always fascinated me. 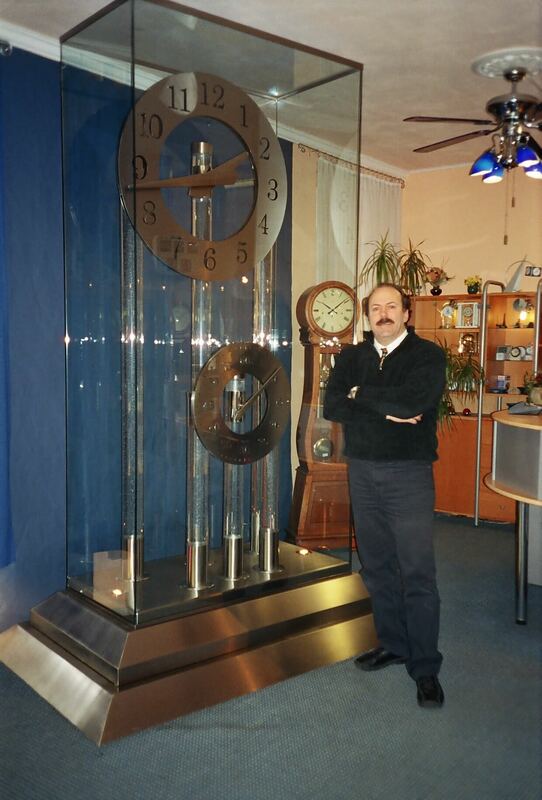 The Greek hairdresser Ktesy Bios invented a water clock in order to save his customers from boredom while waiting. The fascination of water inside the clock let the time pass quicker for the customers. 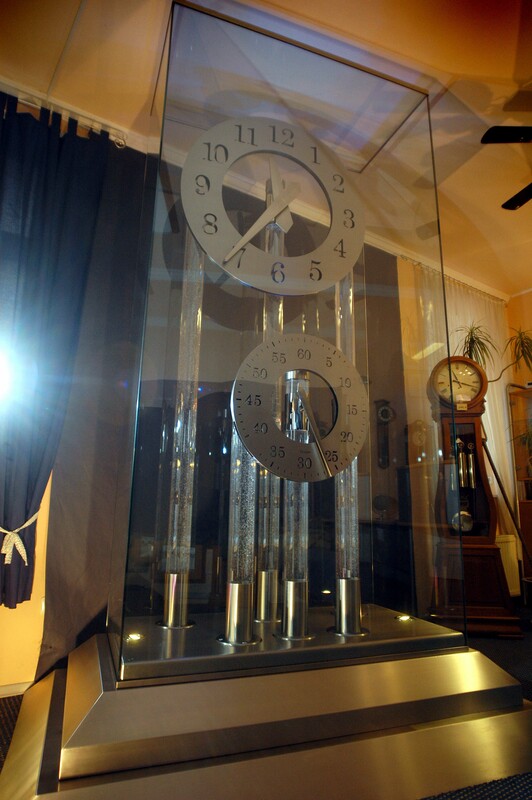 Even Socrates made use of this method of the water clock for the boardroom of the court. 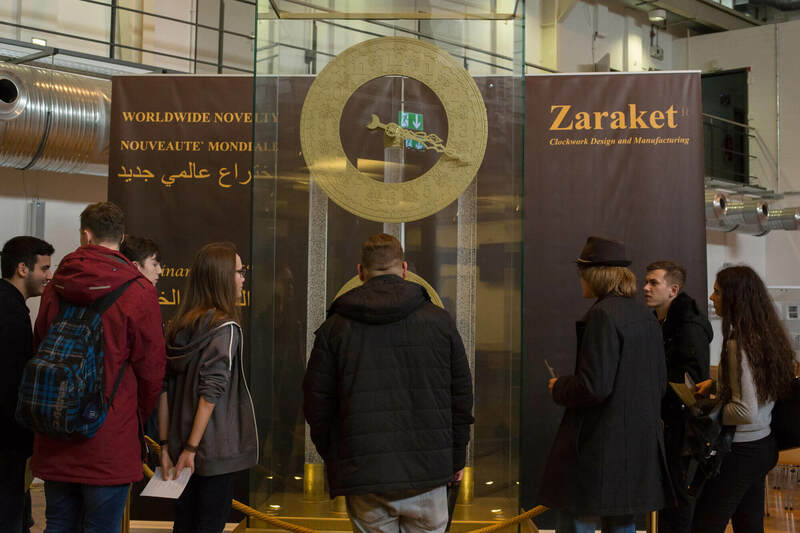 On this exhibited golden clock here you can see six tubes filled with a crystal clear liquid and permanently rising air bubbles. 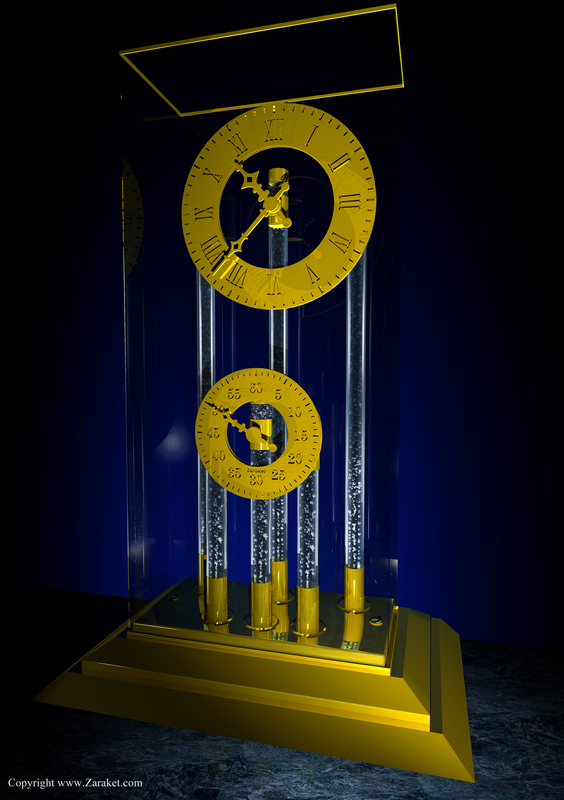 Three tubes carry the clock face and its minute and hour hands. The other three tubes carry the clock face with its second hand. Both clock faces are separated from each other. 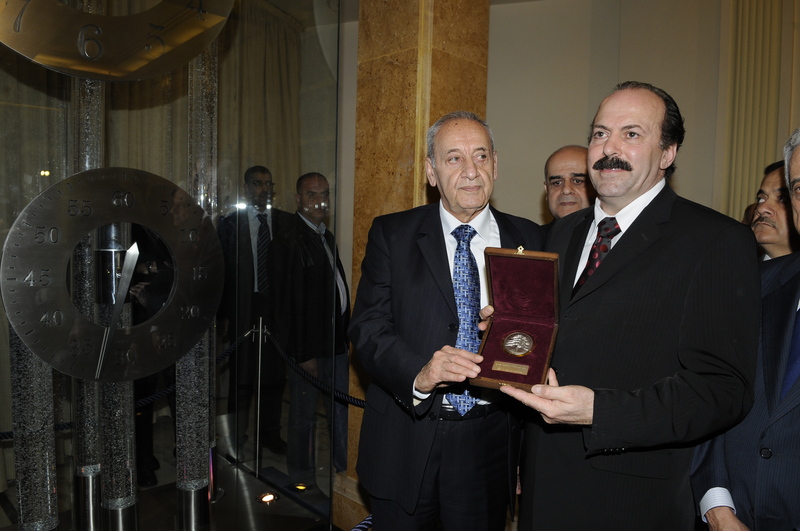 How does this mysterious clock work and where is its mechanism? What is the secret of the air bubbles permanently ascending inside the tubes? This and other questions on the function of this invention were posed by European technicians and the media. A ciphered secret of the 21st century! 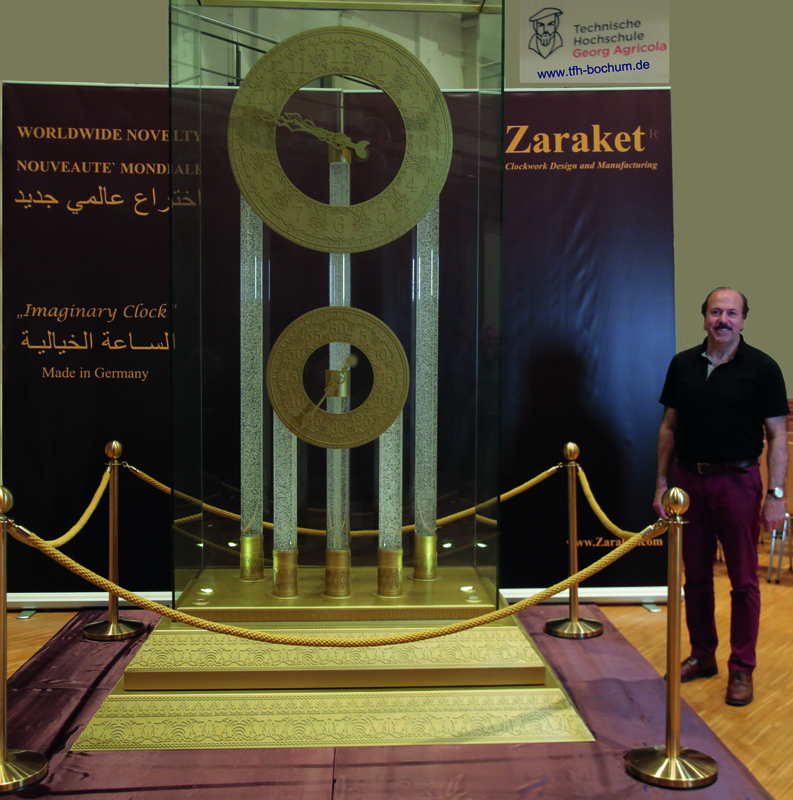 The size of this clock can be varied between two to six meters. 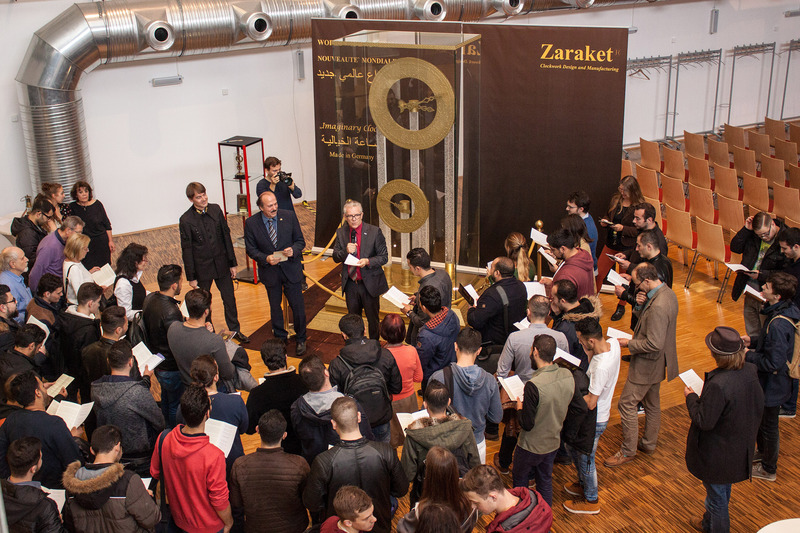 Even the materials can be varied: steel, gold and marble, etc. 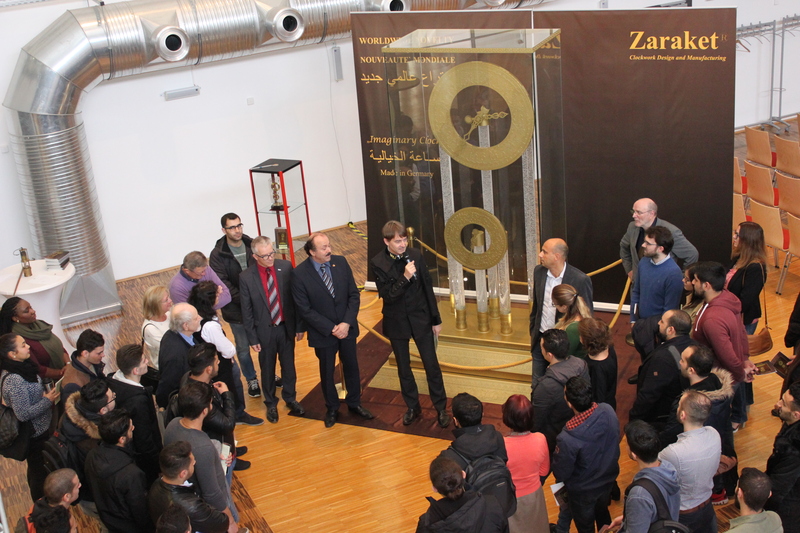 The golden Imaginary Clock, you see on the cover picture, has a height of three meters and a length of two meters. It is made of 2000 separate parts, handmade, built and assembled. Many questions arise – both of a technical and philosophical nature. Tiny little bubbles symbolize the transience in eternal silence. We are contemplating a symbol of time elapsed, a past – that never gets lost.